If you're cybergoth (or an ex-cybergoth like me), you've got a warm place in your robot heart for toxic-waste-slime greenish yellow. 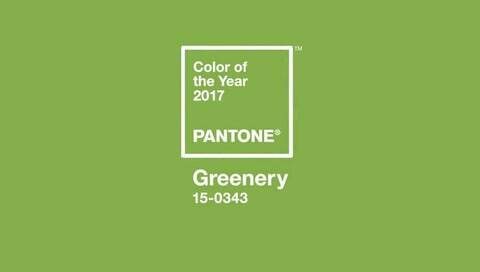 LOL, PANTONE, so much for natural escapism! You think the first leaves of spring, I think the ruins of civilization. It's a great shade for eyeshadow, and looks great with black. I don't know why green and black go so well together. For some goth styles, you really need another color for contrast. Green was my go-to in my cyber days--thought it was more cyber than black! Neon yellow was also another great one. Red's too goth, pink's too girly, blue isn't contrasty enough, silver is too contrasty. What do you think of Greenery? Would you wear this color? How? Yay for black-green combo! I love it, but this particular shade is a bit too toned down for me. If I were to wear it, then only in tiniest details. Give me toxic green! neon green is the best! Oh well, im not really fan of green color and if - than emerald green. Only way I could wear this shade is to combine it with something natural, you know, elfish wibes, aesthetically it's somehow dead for me, but I had always wakness for it and maybe I can revive it. But I really like the most your perky - cartoon goth suggestion, why not? I always liked theese weird iron fist prints, but I felt like its not for me. haha of course I would! Aw, it touches my little heart. In high school a late friend wore mainly black and lime green. She had a little black and green corset purse she carried around with her. It was awesome. I have this color in my eyeshadow bin, I think I'll have to use it again. Totally agree with you, a very cyber goth color! :) I am (and was as a teenager) more drawn to darker greens but I think that color would be great in makeup and in small accessories, as a contrast to black. ^_^ I've been blond almost always, so I guess that is the reason why I wouldn't have light or bright shades in my wardrobe. I used to have eyeshadow in that shade! I think my current one by Medusa's makeup is close. I really like the long green dress, it would suit my Faery style! Not sure if I would wear clothing in this colour, but sunglasses and makeup? Bring it on! As usual, I love the outfits you have made. I wouldn't mind cracking out some green eyeshadow this spring! I have been eyeballing a pair of blue mirrorshade aviator sunglasses.....maybe I'll get green ones instead! Meh...we need lime green and neon...! ;) I don't actually wear bright colors, this shade of green is too cartooney for me.